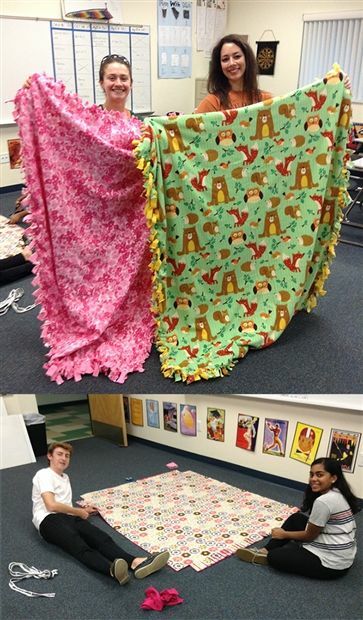 Members of the Upper School Interact service club made blankets to donate to Project Linus. The program gives the blankets to patients at Johns Hopkins All Children's Hospital. The blankets provide a sense of security, warmth and comfort to children who are seriously ill, traumatized, or otherwise in need.